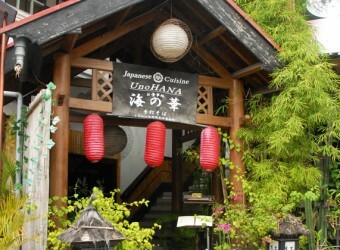 Bali Restaurant UNOHANA is located along Kartika Plaza Street in Kuta. It is like a Japanese-style bar and really comfortable atmosphere. Owner makes homemade Soba (Japanese soba noodle) by himself, and he imports ingredient directly from Japan. Many repeaters love his Soba! There are many typical Japanese menus.